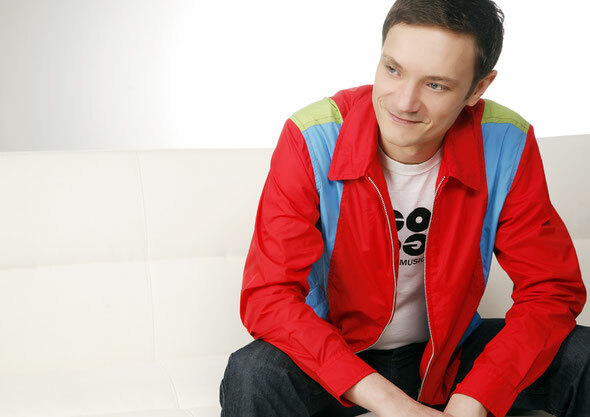 In 2008 Ralf GUM unveiled his debut album titled ‘Uniting Music’, which is still one of our favourite artist albums four years later. Now, at last, the German DJ/producer reveals his hugely anticipated second album ‘Never Leaves You’ on his own GOGO Music imprint. 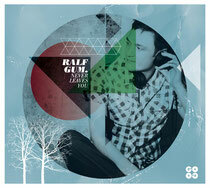 Ralf’s distinctive sound and irresistible songs have become his instantly recognisable trademark during the last two decades, as they cut through the airwaves and clubs sound systems with unique class and style. ‘Never Leaves You’ is testament to the fact that Ralf GUM has stayed true to his roots and well-honed style, paying homage to the song and creating a moving and heartfelt body of music that transcends to both the dance floor and the lounge. The album is knitted together by a host of carefully selected vocalists and musicians, which include Grammy Award-winning British R&B/soul star Caron Wheeler (Soul II Soul ‘Back to Life (However Do You Want Me)’). Her collaboration with Ralf, entitled ‘So Good’, is her first ever real house music song and evidence of her outstanding talent. NYC’s Monique Bingham (with whom Ralf recorded ‘Kissing Strangers’ in 2008 – Traxsource ‘House track of the year’) lends her lyrical genius and stunning voice to upcoming single release ‘Take Me To My Love’. The single will feature mixes from Raw Artistic Soul and Louis Benedetti. Zimbabwean shining star Oluhle (who won the Zimbabwean Achievers Award for Best Female Artist in 2011) transports us to dreamy exotic places with her beautiful native vocal on the current single ‘Linda’, which has hit the #1 single spot on Traxsource. Canadian Jaidene Veda, who’s already seduced a number of heavyweight producers and listeners alike, turns on her charm with the sensual song ‘Do It For Love’. The male faction of singers include the legendary Robert Owens, who sings on the first single taken from the album ‘Fly Free’ - a huge hit on charts and playlists worldwide. Furthermore NJ’s Gospel House king Kenny Bobien contributes two songs to the album (‘The Only Way’ and ‘Greater Love’) and impresses with his most incredible vocal range. Following their successful release 'Complicated' in 2010, Kafele joins forces with Ralf once again on ‘Burning Star’. In addition to these, Ralf has recorded with one of France’s finest voices Jocelyn Mathieu (Vega Records) on ‘Everything’ and collaborated with the talented soul singer Jon Pierce on ‘Never’. It’s out 17th September on GOGO music.